Information systems are the interactions between people, technology, and an organisation’s business processes. Engineers develop information systems to help address current issues, and emerging technologies. The panel brings together a range of individuals. These include include consulting engineers, contractors, government, and software vendors. It has developed a network of industry contacts that offer a wide view of the use and development of information systems to provide advice. The panel represents ICE in the British Standards Institute B/555 Committee. This panel develops and publishes standards for Construction Modelling, Representation and Information Exchange. The Information Systems panel is made up of a variety of industry experts. Find out more about our panel chair and details of the panel's members. Neill leads a Project Information Subject Matter Expert (SME) Team supporting project delivery for Crossrail. This team provides a service to manage, monitor, support and deliver accurate information (documents, data and models) generated by the project into (and beyond) the operation of the physical asset. 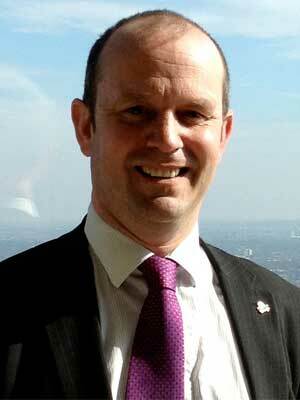 He also leads Crossrail’s BIM in Delivery Working Group (BiDWG). This is a collaborative group comprising Crossrail project site teams, delivery partners and contractors. This group works to ensure that information quality and integrity is not compromised as it is passed between organisations and applications during the delivery of the project. Wikipedia and social media - Continue the good work from previous workshops which have helped produce an increase in civil engineering articles and accuracy on Wikipedia. The panel will also help ICE staff and members use social media as a professional tool for professionalism and to increasing traffic to ICE's knowledge resources. Digital Engineering Trailblazer Apprenticeship - A new apprenticeship scheme within the construction industry. The panel will support the Construction Industry Training Board (CITB) and a number of construction and consultancy companies in developing this apprenticeship in line with the UK-SPEC engineering technician (EngTech) standard. The BIM heat map - Please help us and complete the 2015 survey. If you have a question for our Information Systems Panel, are interested in adding your input to the panel, or require details on the panel's output, then let us know.